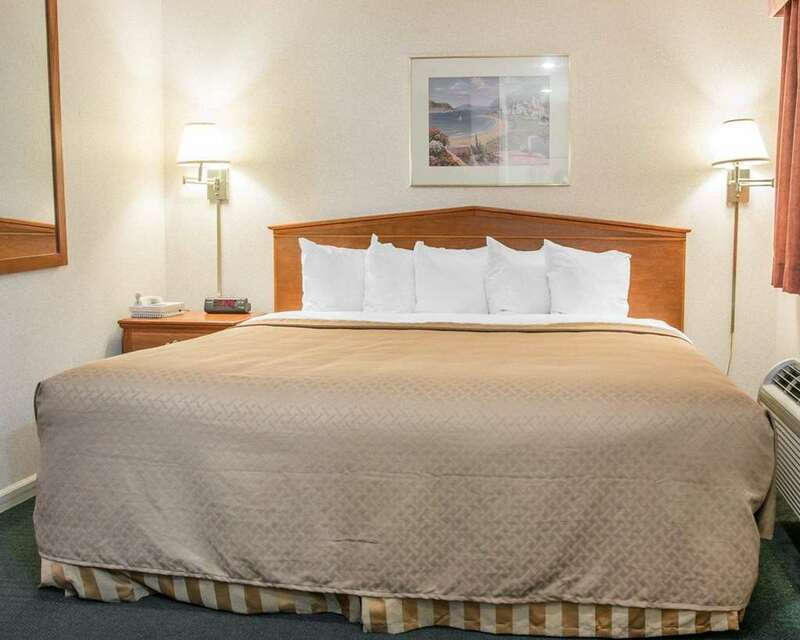 Get more value for your hard-earned money at the pet-friendly Quality Inn and Suites Beachfront hotel in Mackinaw City, MI. Being one of our valued guests lets you relax and focus on the people and experiences that you came for. We are near Mackinack Island, Wilderness State Park, Historic Mill Creek Discovery Park, Colonial Michilimackinac State Park and Kewadin Shores Casino. Amenities include free WiFi, free ample parking, free continental breakfast, meeting room, playground, sauna and indoor heated pool. Guest rooms feature a coffee maker, hair dryer and TV. Also, earn rewards including free nights and gift cards with our Choice Privileges Rewards program. Limit of 1 50-lb. pet/room, USD20/night, must be attended.